Do you want your conference to be memorable, fun, interactive and have a real highlight? PD Training's dynamic trainers can add that flair, excitement and much much more! PD Training boasts over 400 of the best trainers across Australia that can deliver a tailored version of any of our Professional Development Training Courses at your conference. Our conference workshops can be delivered in a high-impact environment where your team is split into smaller groups or delivered as an engaging key-note presentation to the entire group - you decide! 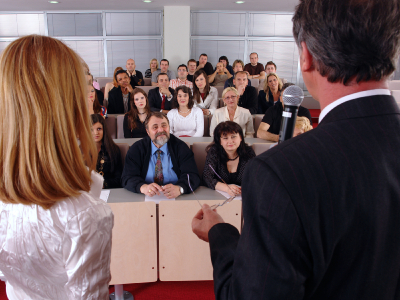 Whether you are a looking to fill a 1 hour time slot or for an all day event, contact PD Training - we can help you.